Collecting Doulton’s nursery rhyme series ware pattern ‘G’! Nurseryware was and remains something of a speciality for Doulton with the enduring popularity of their Bunnykins range, which babies around the world receive in early childhood in the form of bowls and cups, together with a host of other items and of course the famous Bunnykins figures. 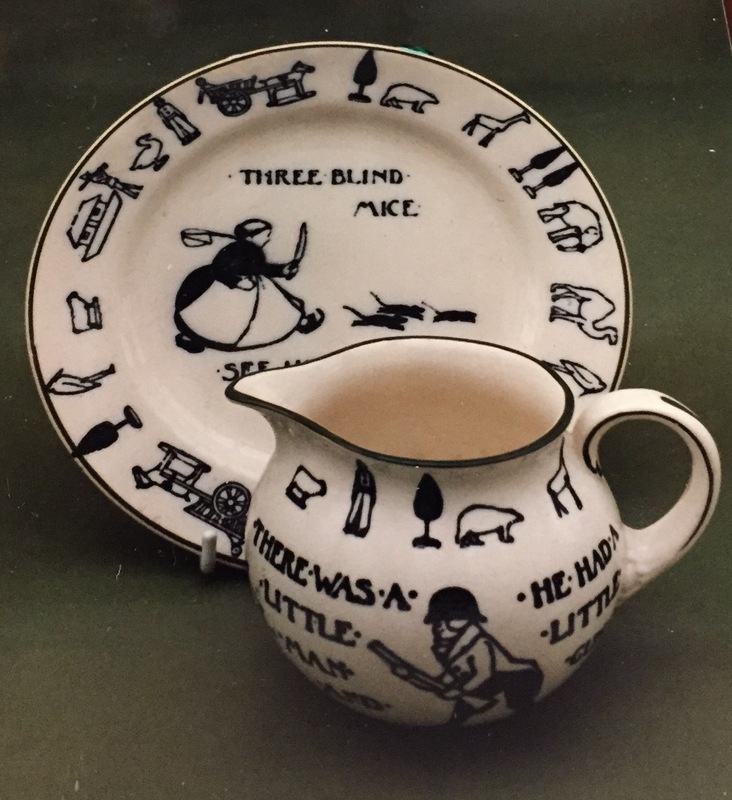 Back in the early 20th century many different nursery ware scenes were produced including this charming silhouette design. Introduced in 1907 and withdrawn by the mid-1930’s examples of this series are hard to find today, no doubt due to the fact that they were used for raising baby back in the day. Two D numbers can be found relating to this pattern D2833 & D4016. Items typically found with this pattern include baby bowls, cereal bowls, mugs, jugs and small plates.